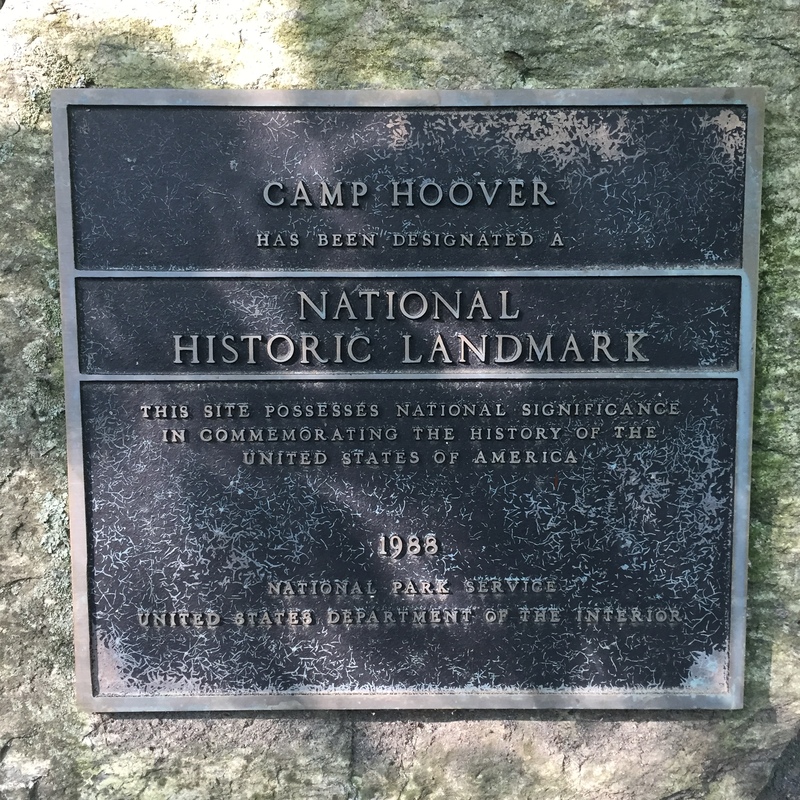 Camp Hoover was built at the headway of the Rapidan River. 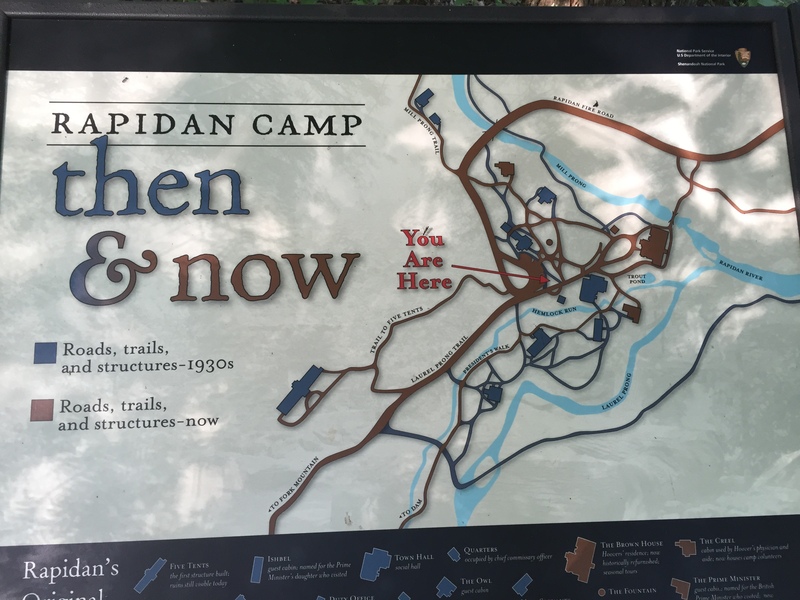 There are just a few buildings that remain standing at Rapidan Camp. Before there was “Shangri-La,” there was Rapidan Camp. 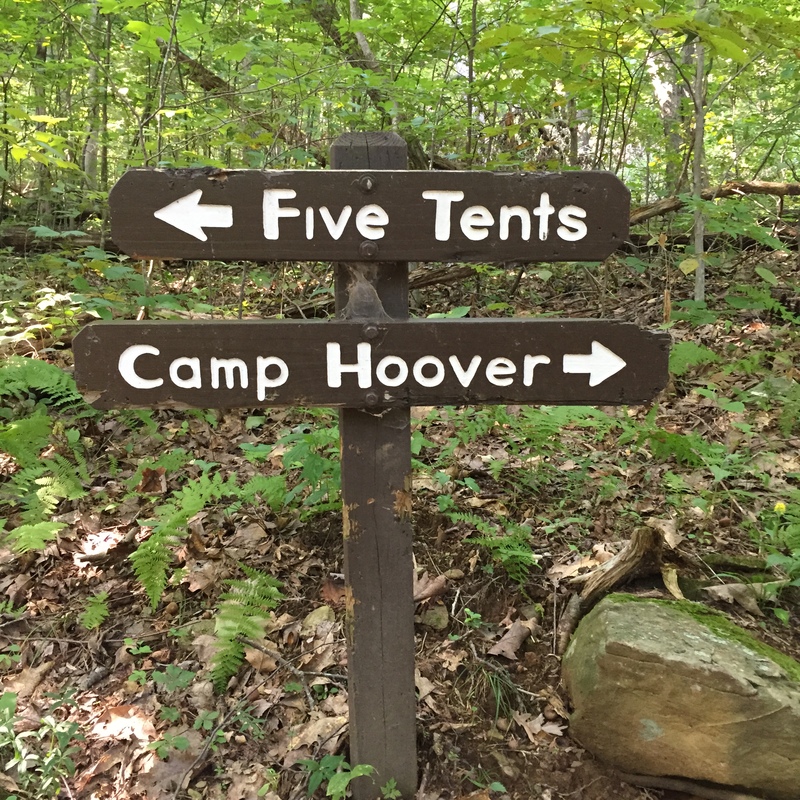 The Rapidan Camp, on the other hand, is open to all who may hike down Mill Prong Trail or the Rapidan Road in the Shenandoah National Park. Shangri-La was constructed as a WPA project during the Franklin D. Roosevelt administration in Catoctin Mountain Park near Thurmont, Maryland. Shangri-La employed dozens if not hundreds of construction workers, staff, and security paid for with federal funds. The number of staff currently assigned to Camp David is unknown. A detail of Marines erected five tents on a concrete and wooden platform as the rest of Camp Hoover was being built. 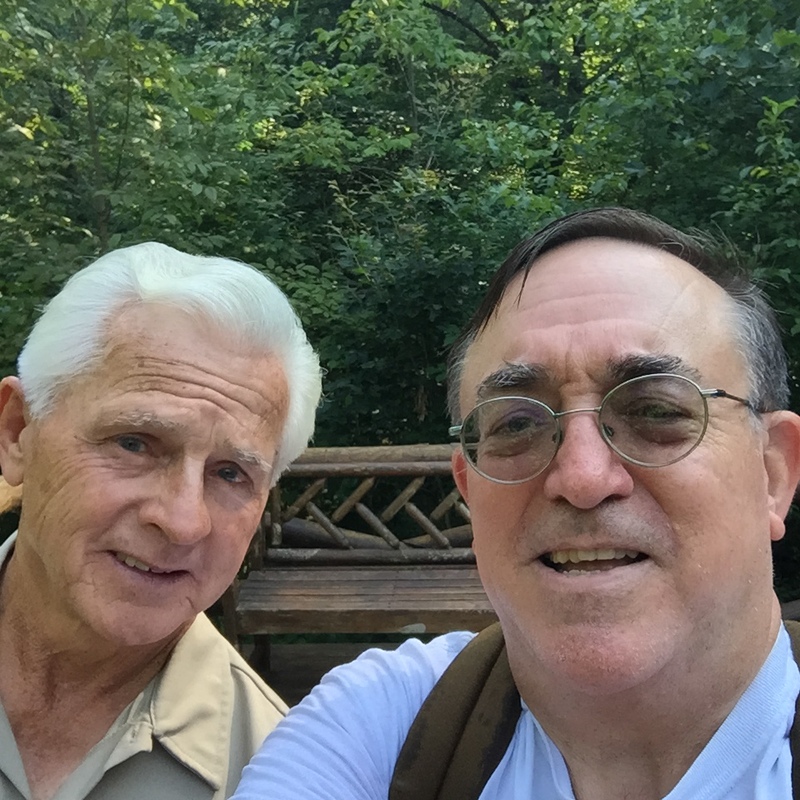 Mr. Hare is a 73 year old park volunteer (left) with yours truly as we pose for a selfie on the back porch of the Brown House. Barbara is the wife of Mr. Hare. 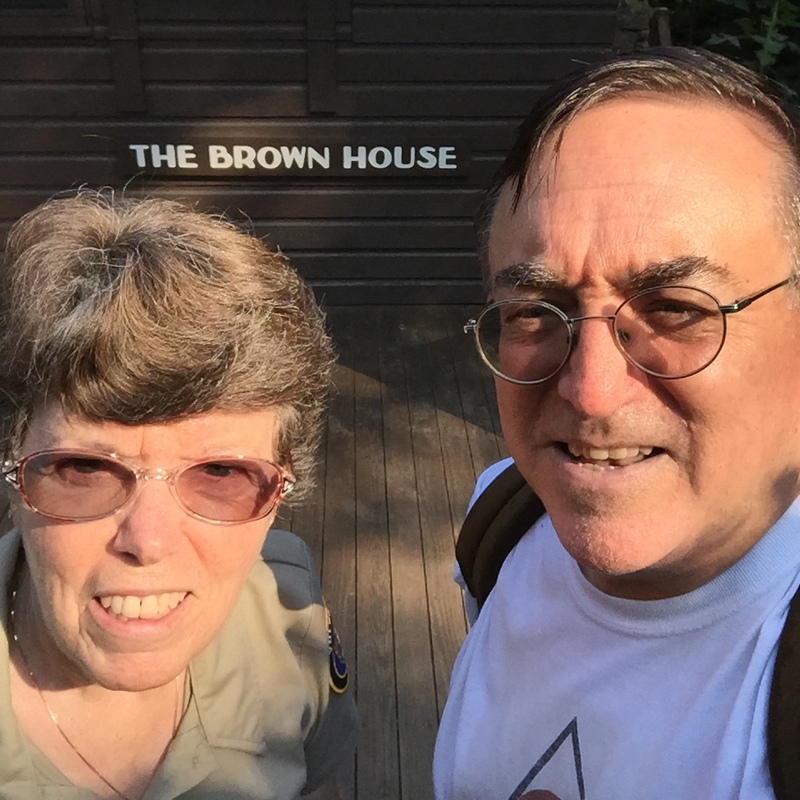 Both are volunteers who take care of the Brown House at Rapidan Camp. Hikers can cross a foot bridge which spans a lovely trout stream. President Hoover and his wife seem a bit over dressed by today’s standards. 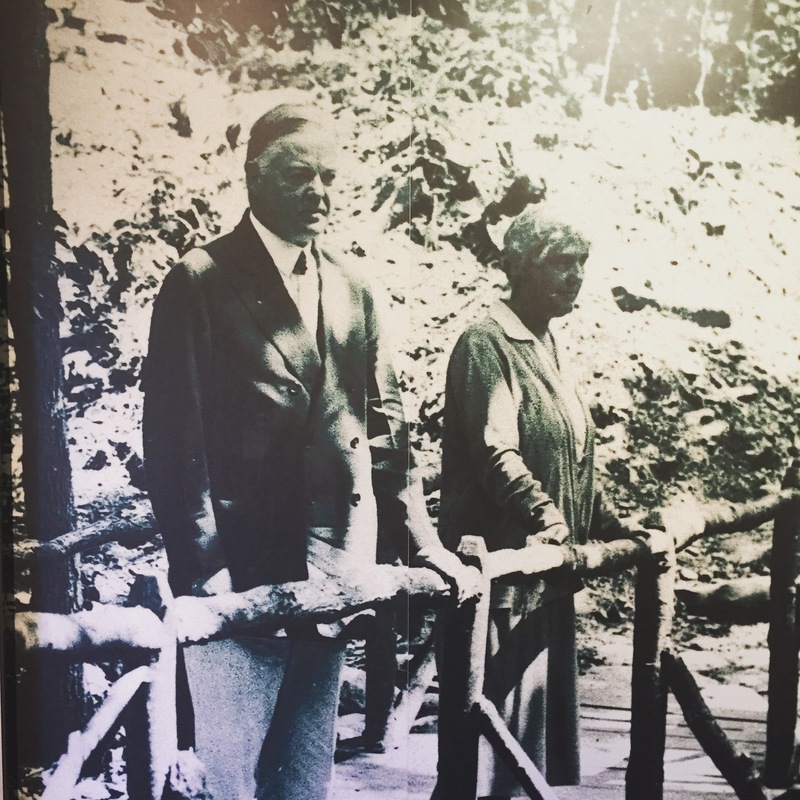 The Rapidan Camp was constructed on land purchased by Herbert Hoover. Materials used to build Camp Hoover came from his private funds. US Marines were given a ‘mission’ to build the camp. The first structures at the Rapidan Camp consisted of no more than Five Tents erected on a concrete and wooden floor. Today, volunteers care for the camp and give tours of the facilities. How important is it for leaders to take a vacation and get away from their normal place or work or residence? How often do you take a vacation or go on an ‘executive retreat’? Where is your favorite get away? Are you a beach person or do you like to escape to the mountains? Do you seek out places where others vacation or do you enjoy solitude when vacationing?